The moment you start saving, you start earning interest on your savings. And that interest earns interest. It’s weird to think about retirement and sending kids to college as a college student yourself, but there are all sorts of fun graphs on the internet that show just how effective starting a savings account early in life can be. And on a personal note, having savings is important because, as I’ve realized: when it rains, it pours. This summer, over the course of a 24-hour period, I experienced both a computer breaking and getting diagnosed with pneumonia. In one day, I had to purchase a new laptop and pay the co-payments for an urgent care and emergency room visit. That’s a lot of money, and if I didn’t have savings for rainy days like these, I could have been in a lot of financial trouble. Essentially, there’s really no one-size-fits-all method to determining how much you should save. It requires an assessment of how your income stream works and what you can feasibly save while still purchasing the essentials. 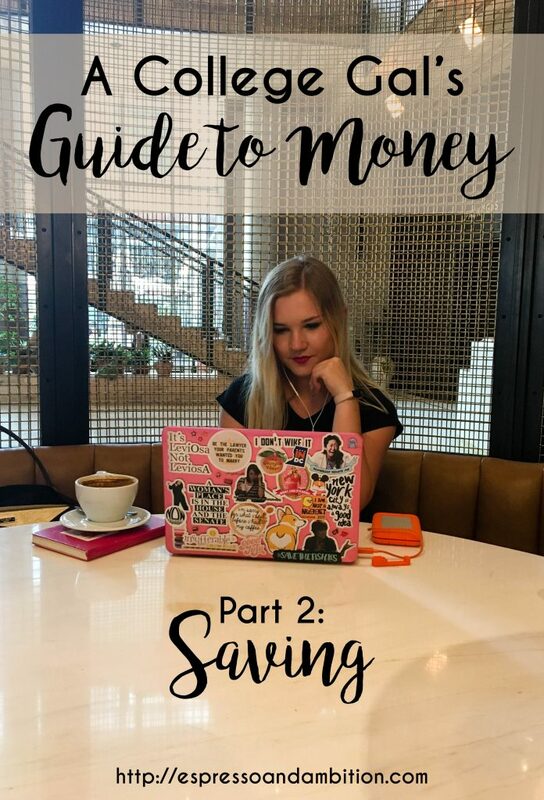 I’m going to talk about two different saving methods here, one of which I’m using currently, and one of which I plan to start using once I have a “big girl” salary. The way that I save now is a result of separating my income into two sources: primary and secondary. The primary source is how I pay for my rent, groceries, etc. It’s what I use when I budget. The secondary source is from my “side hustles” – my work as an independent contractor, tutoring, and blogging. With my “side hustle” income, I save 50% of that income. Right now, that’s what’s most feasible for me. However, once I have a job that pays me more regularly, I’m going to start saving 10% of my total income. That’s the usual suggested savings rate and allows you to set up a really solid savings account for the future. So if you’re in a position to start saving at that rate now, go for it. Ultimately, how you choose to save your money is a result of sitting down, looking at your finances, and seeing what you can set aside as savings. Yes, it may mean you go out to eat a little less or buy Starbucks a little less frequently, but I promise, it’ll all be worth it in the end. You’ll get to use that money for something really cool – I’m using that money to go to South Africa after I graduate. And at the end of the day, I’ll give up a couple extra lattes for something as cool as that. 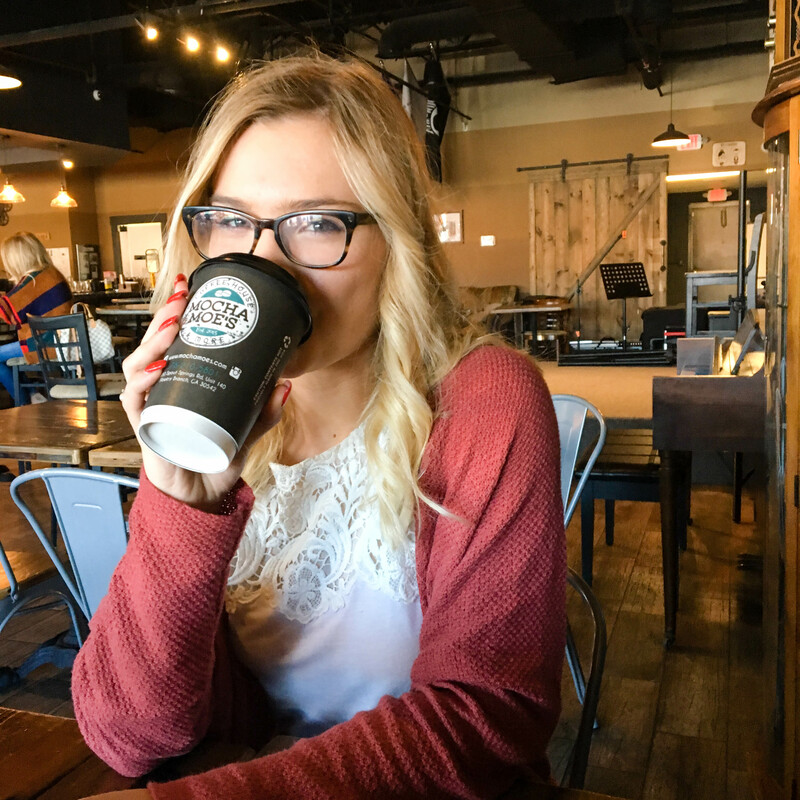 It was hard for me to save in college because I didn’t have any income, but I understood the importance of saving and made sure to start as soon as I got my first job out of college. I was shown all those graphs and charts and knew it was important! Even though we earn less as students, you’re right that it’s still important to save. Earlier this year, I had an awful car day; I had a puncture and had to get a new tyre and while the mechanics were fixing it, they discovered my break pads were entirely worn and about to fail, so I had to replace both things. I was so glad that I’d been saving. Like you said, you have to try and prepare for things like your laptop breaking because it’d make studying so much harder without it. I get paid weekly now so I try to put away at least £25 per week.